I am still trying to find the right words to describe this work of art. Or, I guess I just did. Absolutely amazing. There couldn't be any other way to turn this book into a better romance than it is. The level of mistery, despair, anguish, belonging, doubt, is carefuly but freely placed over the chapters, in such a way that it consumes the reader by making us imagine, in such graphic landscapes and emotions, what the author is trying to say using metaphors. The story of Hector Mann wouldn't be that interesting, if it wasn't for the fact that Paul Auster picked it up and decided to write a novel about it. 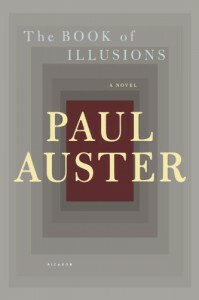 This isn't an imparcial critic, I admit I'm totaly engaged to Auster's writing skills. Or maybe it's just the marvellous way that he is able to feel and conceptualize human feelings. Anyway, it's 5 stars.